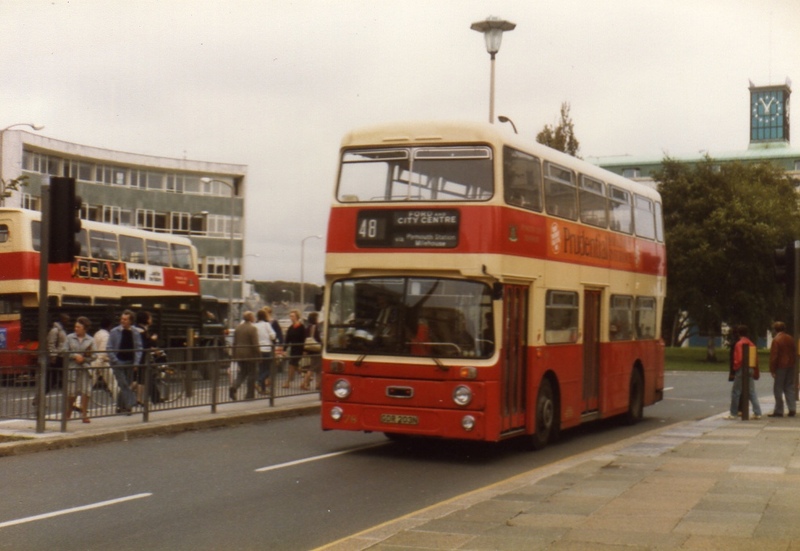 A classic Citybus Atlantean in probably most peoples favourite Citybus livery. I always thought that the Park Royal bodywork was the best looking of the Atlantean bodies. They had a certain character that the much blander East Lancs buses never managed. Royal Parade back in the days of Western National ECW VRTs and Citybus Park Royal Atlanteans - the local bus scene has never looked quite so good since! As always please pop over to aecregents flickr account to explore his other photos. Very much a personal view but I preferred the East Lancs bodies to those of Park Royal and Roe because of the windscreen arrangement. That Park Royal cutaway above the screen seen here seemed too fussy and overly complicated when compared to the smooth and pleasing upper windscreen curve given by East Lancs which gave these buses an altogether better appearance. Neither, however, seemed as good looking at the time as the Western National curved-fronted VRs on the Mount Battens and Elburtons. In general, I would agree that this was the best red/cream version of Plymouth’s livery.